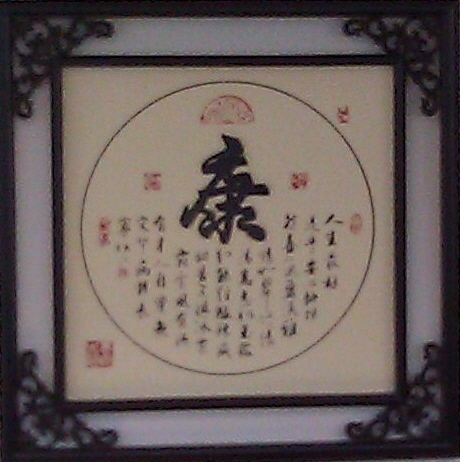 EastWest Healing Arts & Acupuncture is the business name for a special clinic. It is a family business made up of two licensed acupuncturists and a small group of people who want to investigate other possibilities. We were both trained at TriState College of Acupuncture, but acupuncture isn’t the only thing we do. We have many different methods and protocols, some of which have nothing to do with needles. Acupressure: This technique was the first form of healing art practiced by Jim. He learned it through the Jin Shin Do acupressure training that was offered at the Open Center in Manhattan in the 90’s. It involves holding points on the body instead of needling them. This method is very useful for bringing up and treating deep underlying causes for uncomfortable conditions. Yang TuiNa: This is a body work that appears very like massage, except that it has a basis in the meridian theory of Chinese medicine. Yin TuiNa: This form of body work is used to help the body relax sufficiently to allow joints, muscles and tendons to find a better way to interact. It appears as gentle holding of a body part, but the gentle pressure and intention work together to produce a profound effect. This method is often used on Parkinson’s patients who present with a foot injury. Structural Dynamics: This method was created by Binghui’s brother in Canada. It resolves muscle pain due to slightly dislocated joints. It involves massaging the involved muscles, then manipulating the offending joint to allow it to find a “neutral” location (one where it isn’t putting undue pressure on the ligaments and muscles. Moxabustion: This method is usually used for treating placed on the body that are injured by cold. It usually involves burning mugwort to create heat to warm the injured location. It is very soothing and pleasant. Linaments: This is another way to treat areas on the body that are injured, usually due to strain or rigidity. Scraping: Also called Gua Sha, this method is used to strengthen the circulation in the skin below the surface by scraping it. The result may look like a bruise, but it is just broken down capillaries. The rebuilt capillaries are much more efficient and stronger, so they enhance the immune response. There are other uses of scraping like Shonishin tools, that are used as an alternative to needling for those who it would be dangerous to needle. Cupping: This method involves placing suction on the surface of the skin. It is used to treat myofascial adhesions and some sorts of muscular discomfort. The suction pulls blood into the location, and expands the dermal layers and adhesions. Stones: We have a selection of meteorite stones that are very effective at treating certain forms of tightness and arthritis. The are often used to assist TuiNa and scraping. We also have a hot stone machine that is a lovely way to loosen muscles and joints. Far Infrared Projectors: These appear to be heat lamps, but there is no lamp. Electric coils heat a mineral plate that emits Far Infrared heat. This form of heat penetrates deep into the fascia and helps loosen up stubborn tight muscles. It also feels very good. American Acupuncture or Acupuncture Physical Medicine: This protocol is the hallmark of our school. It is an adaptation of trigger points therapy, only using acupuncture needles instead of the hypodermic needles used by physiatrists, so it is much less traumatic to the muscle and the patient. Focusing: Many times, during a treatment, we find that a patient has a sudden recollection or image that comes to mind. Using techniques like Focusing we help the patient process the relationship of the material to the treatment, thereby making the treatment much deeper and stronger. This helps the treatment “stick” and often incidentally treats other complaints at the same time. Traditional Chinese Medicine: This is the form of Chinese medicine which was established in the 1950s by merging all the various forms of Chinese medicine available at the time into a single national medicine. It sees the body from a very different anatomical and physiological perspective than that of the west, where the organs become gateways to physical and psychological functions. 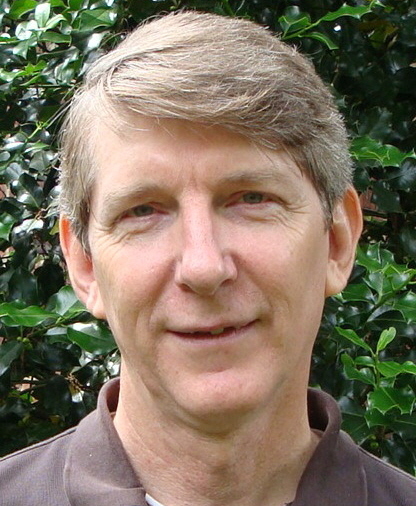 Dao Yin Acupuncture: This form of acupuncture was brought to the west by Andrew Nugent-Head. You might not see much difference when being treated with this protocol, but it involves more contact with the body and the needles as a way to help the body find its way to proper Qi flow. NAET, Nambudripad’s Allergy Elimination Techniques: This is a method of using kinesiology and acupuncture as a way to help someone get clear of allergic reactions. The NAET web site does not list me as a certified practitioner because I have chosen not continue to take their courses in order to maintain their certification. Japanese Acupuncture: Kiiko Matsumoto brought these techniques directly from Japan to our school. They are tremendously effective in treating unusual sorts of conditions. Balance Method: Dr. Richard Tan taught several classes in and out of school for us. His methods are based on an engineer’s perspective of the classics, and are very effective for many different conditions. Five Element Acupuncture: Established in the early 20th Century, it is based solely on readings of the most ancient Chinese medicine literature. It sees the body as having dynamic energy flows that can be managed and corrected by needling the points from the elbows and knees down. Scalp Acupuncture: This protocol was more recently developed in China, based on brain mapping. It involves strong stimulation of needles (often with mild electrical pulses) directly over the portion of the brain that is responsible for some neurological phenomena. MSKCC Advanced Oncology Acupuncture: This is a training in complementary acupuncture, offered by Memorial Sloan Kettering Cancer Center. The acupuncturist alleviates discomfort due to cancer and it’s medical treatments (viz., chemo and radiation therapies). Parkinson’s Recovery: While there is no certification for this protocol, and it really isn’t a protocol, I have been trained in FSR (Functional Spontaneous Release) by the recovery project team and can teach your caregiver how to assess and treat using this technique.